The owner of this tastefully positioned spot, Liene Jelinska, offers a refreshing way to view Riga’s famous Art Nouveau architecture, from the comfort of your own chair with a warming beverage in your hands. Sienna actually faces the beautiful and recently renovated Jugenstil buildings on Strelnieku Street, and as you sit you can watch the throngs of open-mouthed tourists go by. The menu lists a variety of coffee drinks, high-quality teas and several options for wine lovers, all for down-to-earth prices. 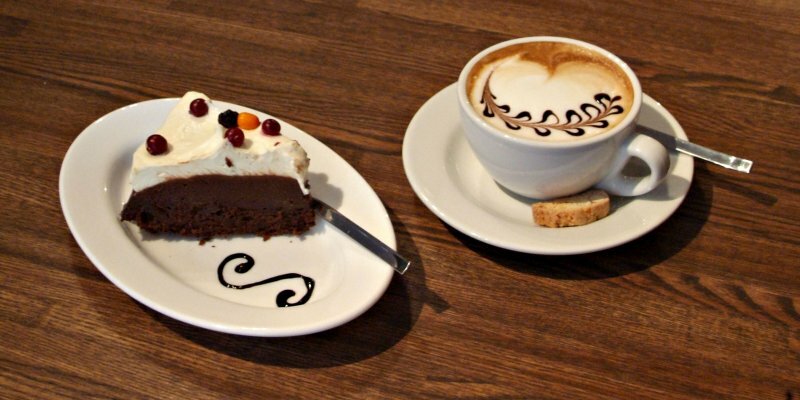 At the moment there are delicious cakes on offer, and in the near future Liene is going to add some light salads too. But for now she recommends that visitors indulge themselves with some of the adorable Chocolate Mascarpone. And it's not all about edibles. 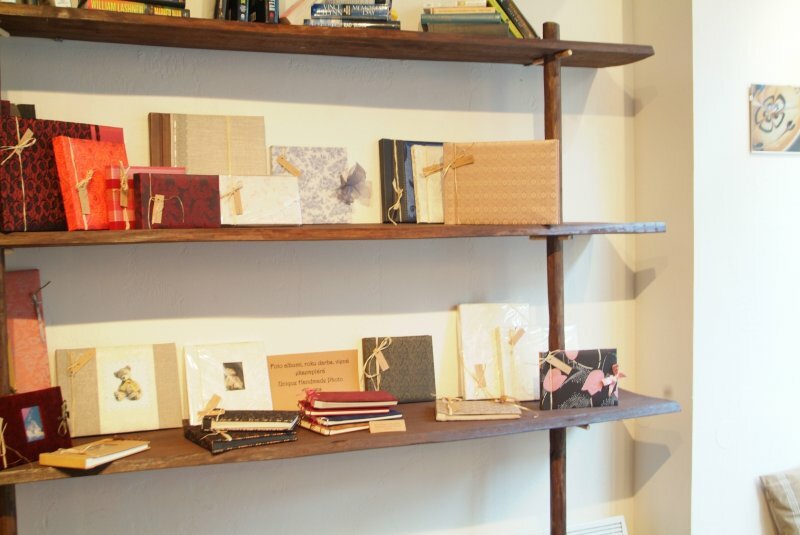 Artists' stationery, handmade candles and jewelry are available to peruse and purchase too. Our favorites were the handcrafted leather notebooks and handmade photo albums, perfect for those special once-in-a-lifetime events like weddings and anniversaries. Look in one evening too, they're planning to organize movie evenings and rock-and-roll nights. This atmospheric little café is a real treat, with terrific-tasting coffee, warm and charming staff and wonderful value. It used to be the case that all of the cool cafés were in the Old Town, so it’s nice to see new ones opening up in the quieter and often prettier areas. very relaxing and the service is very good. bed, I'd toss a sheet over her and she'd leave it there all night. Dudley, well he has a double fur coat and loves the cold. I think with the arthritis, he might want a blanket on his hips, but he walks away from it. Cute pics of the girls! dress also looked an inch short on the model weird length and weird pose. All in all, Sienna looked chic and expensive.